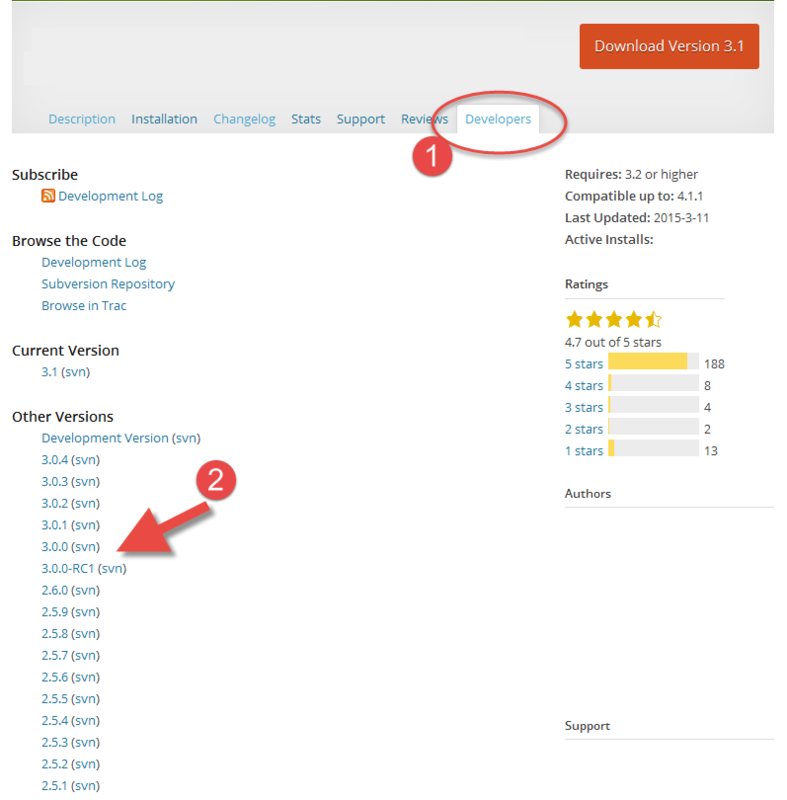 Here you can download every version of the plugin ever published to wordpress.org. Click on the version number to download the plugin as a ZIP file (2), use FTP to copy it to your server, and be happy again. Until next time.